Here are some tips to enjoy your soaring cable car experience while seizing every picture perfect moment. A shareable picture begins from the best shooting angle. Here are some tips to enjoy your soaring cable car experience while seizing every picture perfect moment. With the vast ocean and rolling greens of Lantau as the backdrop, Tung Chung Bay is the first to greet you on your cable car journey. An aerial view of the city is usually only available from a landing flight. Now, you can see the Hong Kong International Airport in full from a totally different angle – high up from a cable car cabin! The Hong Kong–Zhuhai–Macao Bridge, which is still under construction in the middle of the deep blue, gives you a good reason to hit that shutter. You are about to reach Ngong Ping terminal. The magnificent Big Buddha, which is surrounded by verdant mountains, is right in front of you. Don’t pack away your camera yet. 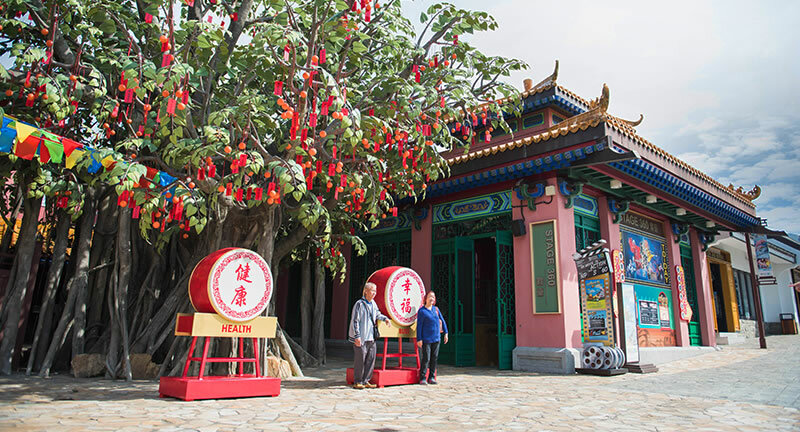 From Ngong Ping Village to the Wisdom Path or Tai O Fishing Village, there is still a long list of wonderful photo-taking spots for you to explore. You will arrive at Ngong Ping Village as soon as you get down from the cable car. Remember to check-in and take a picture with the Big Buddha at the Stupa Square. 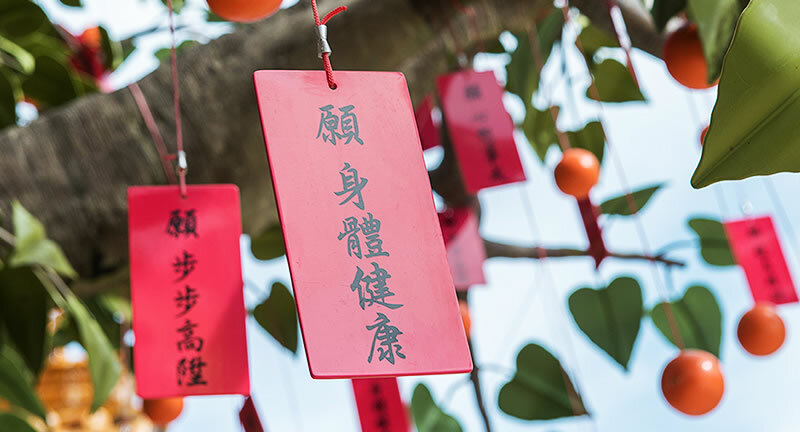 The Bodhi Tree in Ngong Ping Village is hung with placards of good wishes. Leaving Ngong Ping Village, it takes about 20 minutes on foot to reach the Wisdom Path. Capture the magnificence of the largest outdoor wood carving installation. Tai O is the oldest fishing village in Hong Kong. As it is filled with countless one-of-its-kind features, you will find it very difficult to put down your camera. The distinctive charm of the community makes every picture taken different – even if they are taken in the same place and at the same angle. You will find something extraordinary about Lantau through these lovely pics.